we had a super holiday and we both enjoyed freedom of walking on our own and being able to visit and stay in the diffrent hotels. Your holiday begins in Chaumont from where you'll follow serene riverside tracks and meander through sleepy villages and hamlets towards the charming wine village of Chitenay, an ideal base from which to discover pretty Cheverny with its impressive 'Secrets of Moulinsart' art exhibition. After a transfer to Bourre, you'll keep the beautiful River Cher close, walking through Montrichard, Chenonceaux - with its iconic chateau on the banks of the Cher - and Montlouis before heading, via verdant fields and vineyards (be sure to enjoy a spot of wine-tasting!) to the mediaeval market town of Amboise. Explore the narrow, winding streets and take in the imposing Chateau d'Amboise, a royal residence and Da Vinci's final resting place, before returning to Chaumont where you'll experience yet another masterpiece - the Chateau de Chaumont which dates back to the 10th century and hosts the acclaimed International Garden Festival. 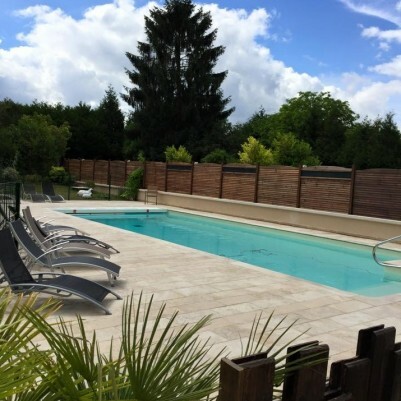 Arrive at your riverside hotel in Chaumont. Today's walk takes you alongside the River Beuvron into the sleepy village of Cande-sur-Beuvron before passing the Chateau de Frileuse on your way to Les Montils, a perfect place for a lunch stop. Heading out of town through open countryside, you arrive in the pretty hamlet of Seur, before crossing the river into Chitenay. Your hotel offers superb food; relax on the terrace overlooking the gardens and swimming pool and enjoy an aperitif before dinner. The sleepy wine village of Chitenay is ideally placed to visit many of the Loire's finest chateaux. 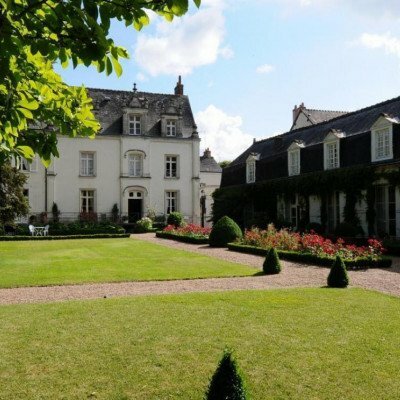 We particularly recommend picture-postcard Cheverny which has one of the region's largest art collections including a permanent 'Secrets of Moulinsart' exhibition, and also, just 3km further on, lovely little Chateau de Troussay with its rich furnishings collection, elaborately decorated ceilings and attractive landscaped gardens. Today a 20-minute transfer takes you to Bourre, where you'll begin your walk alongside the River Cher. You have the chance to visit the Caves des Roches - or 'mushroom caves' - on the way, a vast network of underground caves and tunnels which were formerly limestone mines. You'll also pass La Magnanerie de Bourre, the site of traditional cave dwellings and a silk-worm farm. Continue your walk alongside the River Cher to Montrichard, a traditional French town with its own riverside beach and a number of good restaurants to choose from for lunch, before heading along the GR41 through Chissay-en-Touraine to Chenonceaux. Today you can marvel at the impressive Chateau de Chenonceau, one of the best-known of the Loire chateaux with its iconic arches over the river. This fairytale chateau has seen some famous figures from history, notably Diane de Poitiers and Catherine de'Medici - rivals for Henry II's affections - and Mary, Queen of Scots. The university city of Tours is an easy train ride away, home to a plethora of bars, cafes and restaurants, along with popular shopping centres and quirky independent shops in the old quarter. We take you from Chenonceaux to Veretz-Montlouis and from there follow the back roads of the GR3 which run parallel to the River Loire. From Montlouis you'll walk through the Loire's sprawling vineyards, with the chance to stop and taste delicious wines on the way; don't forget - we'll carry any wine purchases for you! Continue your walk alongside the Loire and you'll arrive in the bustling market town of Amboise. Amboise has a charming mediaeval feel, with historical links to the French Royal Family and also connections to Leonardo da Vinci who spent his last few years at Clos Luce, now a museum which houses displays of some of the artist's original work. Da Vinci's tomb is housed in the majestic Chateau d'Amboise which also hosts the impressive Son et Lumiere display. Amboise offers plenty of restaurants and cafes in which to relax and sample the local wines and produce. Head south-east today, following the GR3 trail towards the village of Souvigny-de-Touraine, before sauntering through open fields and vineyards, perhaps stopping off for a final tasting! You'll then join the Camino de Santiago trail as you make your way back to riverside Chaumont. 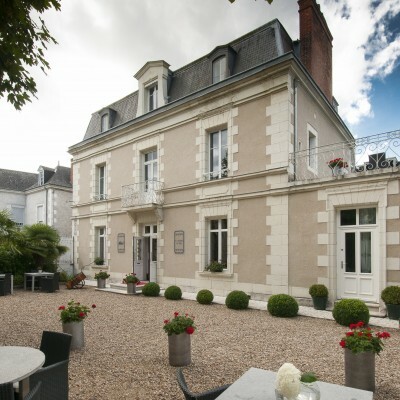 This hotel is situated between the Loire river and the famous chateau itself, the Hostellerie du Chateau is a lovely, quirky hotel, that just oozes charm. The bedrooms also reflect the theme of times gone by, but they are well- equipped for the demands of the C21 guest, as they all have telephone, satellite tv and hairdryer. The dining room, with its wooden beams and grand fireplace, adds to the overall antiquated atmosphere. Tucked away in the elegant little village of Chitenay is the lovely ivy-clad Auberge du Centre, run by the charming Martinet family. Dinner is served either in the pretty dining room, or on the terrace. 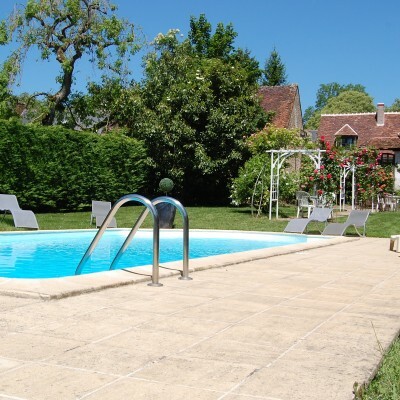 The hotel has a pleasant terrace overlooking its pretty gardens and swimming pool (pool towels are provided; ask at reception), which are a real treat on a summer's day, as well as an attractive sitting area inside, complete with wooden beams and comfy chairs. Access to the Spa area is payable locally at 15€ per person per day. Access is free to those staying in a 'Balneo' room. 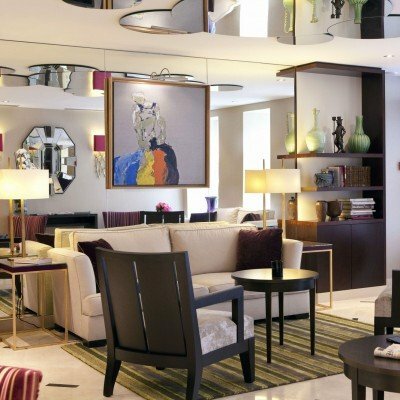 Room upgrades: Charme Room or Superior Room. Located near the pedestrian area of Amboise, the Hotel Le Clos d'Amboise was built in the C17 and was once a doctor's mansion. Renovated over the years it has still retained a number of original features. The Pavillon des Lys offers nine rooms spread out over the main building and in two small cottages on the hotel grounds, some of which have a view over the Chateau Royale d'Amboise and the Clos Luce. Located in the heart of Amboise we have left evenings free for you to choose from one of the many restaurants on offer. Room upgrades: Deluxe Room, Suite or Suite Terrasse. Transfers included from Tours St Pierre des Corps train station at 12:58 and back to Tours St Pierre des Corps train station at 10:00. Very easy walking through very rural terrain, lovely hotels and delicious food. Lots of interesting chateaux and gardens to visit on your rest days (as an alternative to chilling by the hotel pool). Very comprehensive and accurate walking instructions. Very helpful, knowledgeable and friendly reps (James and Ian). A really good experience, James and Hazel were very helpful and informative and the walking notes were amongst the best we've ever had. Chateau de Tertres was a lovely venue but it was rather a long way from Chaumont which added rather too much to the final days walk. Our first holiday with Headwater but it won't be the last. We enjoyed seeing France from a different angle and at a slower pace. This was a very enjoyable holiday exceeding my expectations. The walks and walking notes were great, the included meals were extremely good and the Headwater contacts, James and Hazel were excellent - very friendly and helpful. I loved having a day off between the walks to explore the area surrounding our hotels or to simply relax by the pool. Some superb chateaux to visit along the route. Gentle walking. Beware of biting insects. Every two days from 29th Apr 2019 to 16th Oct 2019, for 8 nights. All dates are subject to availability, please contact us to check. Due to the tailor-made nature of our holidays, we need a little more information in order for us to check availability for Chateaux of the Loire Walk. Simply complete the form below and a member of our sales team will contact you (when it's most convenient for you) to provide availability information, travel options and an accurate price. Of course there's no obligation, but if you do wish to proceed with a booking they will be on-hand to assist you throughout the process.